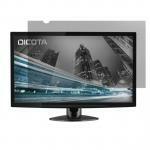 "Using with 24inch Samsung LED Monitor - works perfectly"
"Keeps the screen as it should. Well designed and good quality. Though it could be a bit higher." Keeps the screen as it should. Well designed and good quality. Though it could be a bit higher.Keeps the screen as it should. Well designed and good quality. Though it could be a bit higher. nice product, working well.nice product, working well. 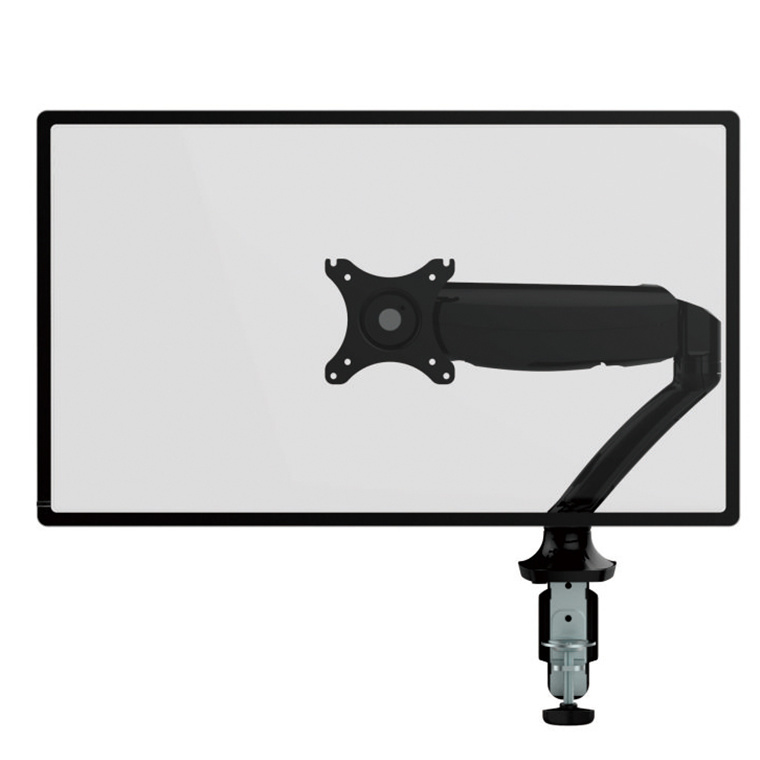 Perfect VESA mount, strong, Very good value for money loctek is always high quality.Perfect VESA mount, strong, Very good value for money loctek is always high quality. Just recently bought this and it was a bit tricky setting it up since the instructions on the manual wasn't very thorough but works well once properly configured.Just recently bought this and it was a bit tricky setting it up since the instructions on the manual wasn't very thorough but works well once properly configured. Really useful product. Looks good, practical and easy to put together. 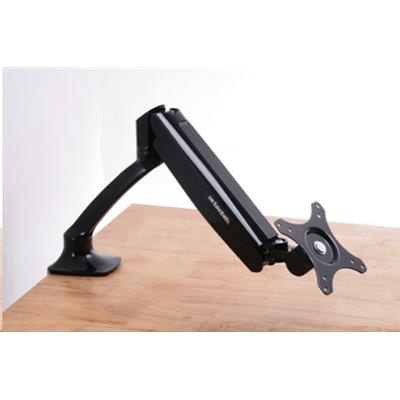 Just takes a bit of effort to loosen up so of the joints so that its not so hard to move.Really useful product. Looks good, practical and easy to put together. Just takes a bit of effort to loosen up so of the joints so that its not so hard to move. 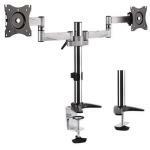 I needed much better control of LCD monitor position at my desk than I could get with the supplied stand. 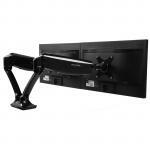 The support arm did the job as supplied, without needing modification. I drilled one hole through a wooden table surface to mount the base of the support arm. Getting the right pressure in the gas piston (by turning a nut) was the biggest challenge. All parts were supplied in clearly labelled packaging. 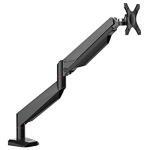 The support arm has been in constant use since installation.I needed much better control of LCD monitor position at my desk than I could get with the supplied stand. 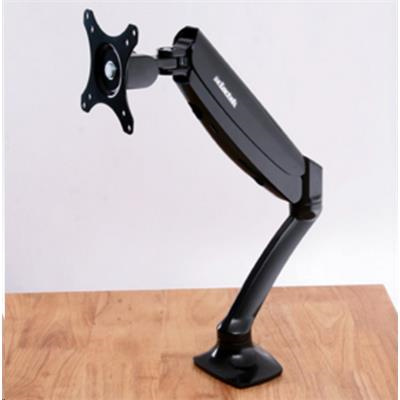 The support arm did the job as supplied, without needing modification. I drilled one hole through a wooden table surface to mount the base of the support arm. Getting the right pressure in the gas piston (by turning a nut) was the biggest challenge. All parts were supplied in clearly labelled packaging. The support arm has been in constant use since installation. Easy to assemble and set up. 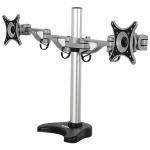 Great swivel and rotation range. Does the trick!Easy to assemble and set up. 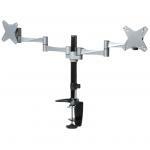 Great swivel and rotation range. Does the trick! It wasn't really suitable for a 27" monitor. 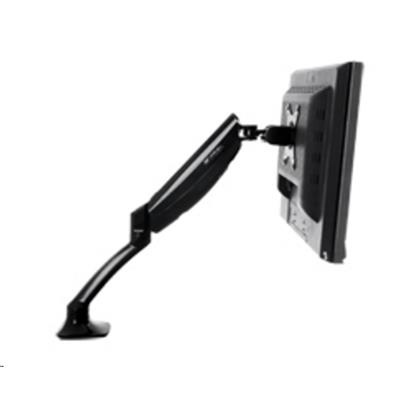 The arm isn't long enough to put the monitor at eye level.It wasn't really suitable for a 27" monitor. 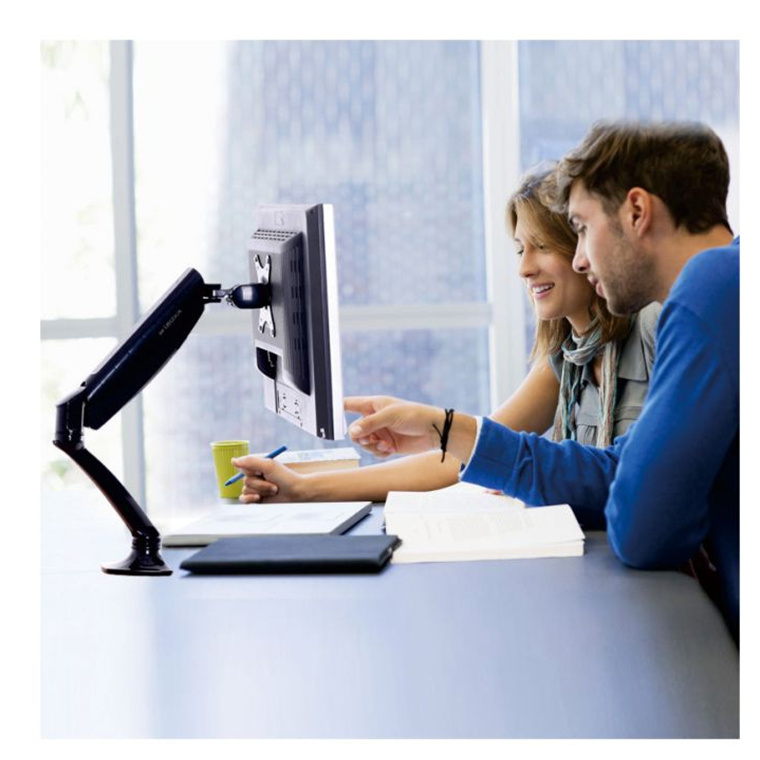 The arm isn't long enough to put the monitor at eye level. 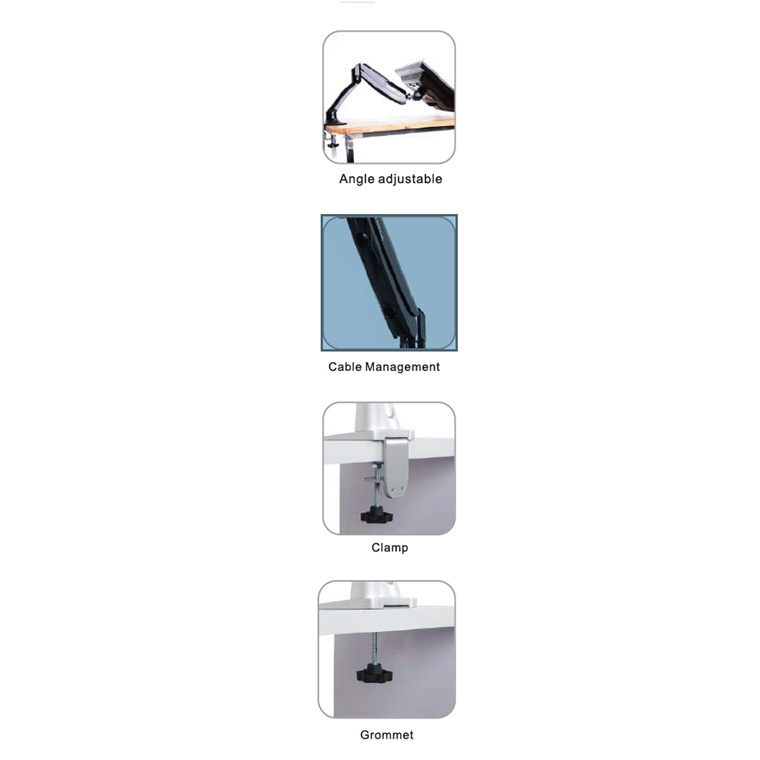 Multiple base to desk attachment options. 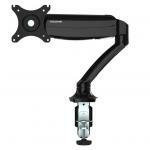 Gas spring arm. Stylish look. Took 10 mins to assemble and install with hidden cable track. 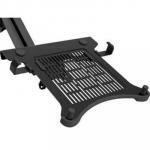 Looks totally boss and would easily recommend this and other products in this brand.Multiple base to desk attachment options. 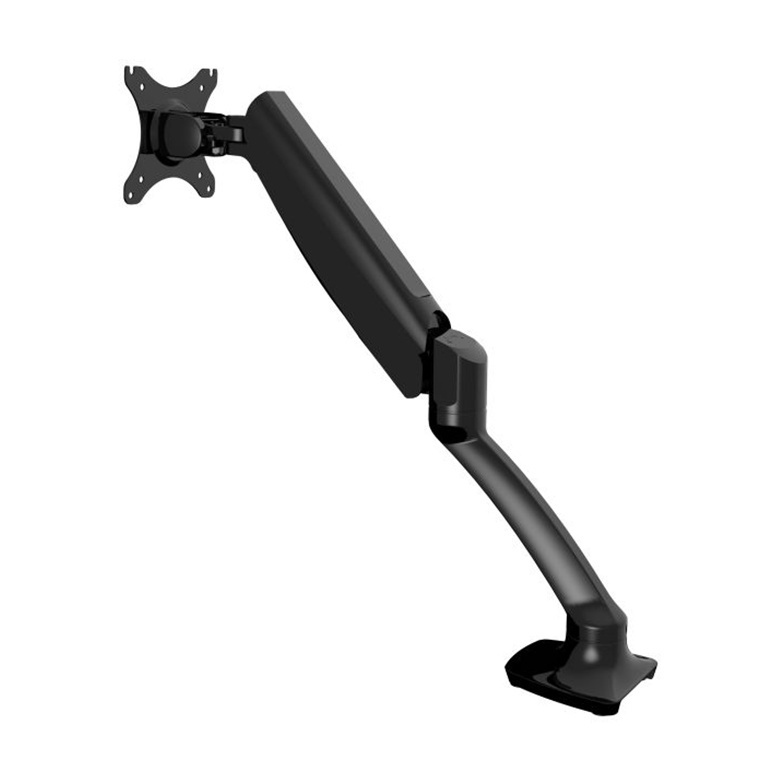 Gas spring arm. Stylish look. Took 10 mins to assemble and install with hidden cable track. Looks totally boss and would easily recommend this and other products in this brand. PB Tech price: PB Tech price: $80.00 ex. $92.00 inc.